Siding adds (or detracts from) curb appeal. Siding is necessary to protect your home from the elements. Want to add instant good looks? Just add siding! It is no wonder that James Hardie Siding installed by Siding & Windows Group is the top rated siding contractor in the Buffalo Grove area. 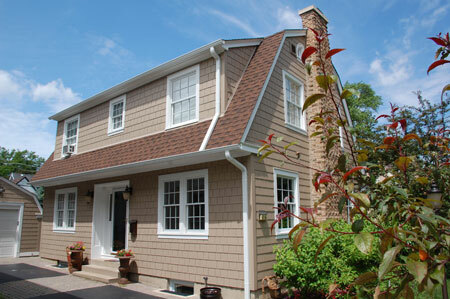 Mastic has provided innovative and quality building products to transform a house into a home since 1932. With Siding & Windows Group as your Buffalo Grove siding contractor, you will be provided top of the line siding installation services with professional workers that put care and time into each project. Choosing vinyl siding has never been easier than with Siding & Windows Group. Siding & Windows Group has offered siding installation in the Buffalo Grove area for over 30 years. We have an excellent reputation and are well-reviewed on Angie’s List and other reviewing organization. 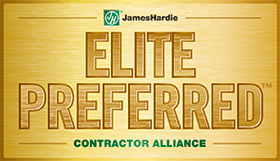 We have won numerous awards and our installers are all highly-trained and trustworthy. Plus, we have made your satisfaction a priority with our 100% Satisfaction Guarantee. If you would like to learn more about the Siding & Windows Group installation process, don’t hesitate to reach out to us by phone or email. We would love to help your home look its best and add value to it too! The work they did was so good that neighbors continue to come by and tell us how great the look is!